#43Z for hook sizes 5/0 and larger. #44Z for sizes 4/0 and smaller. 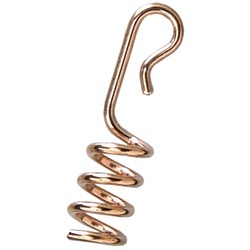 Works great on pork or plastic baits on all styles of hooks. HitchHikers make any offset hook work with swim-baits. Just screw into the nose of your favorite swim-bait and snap onto the first offset bend of the hook.